Pets are the best. They are always there for us when we need them to be. They never criticize and only know how to love. 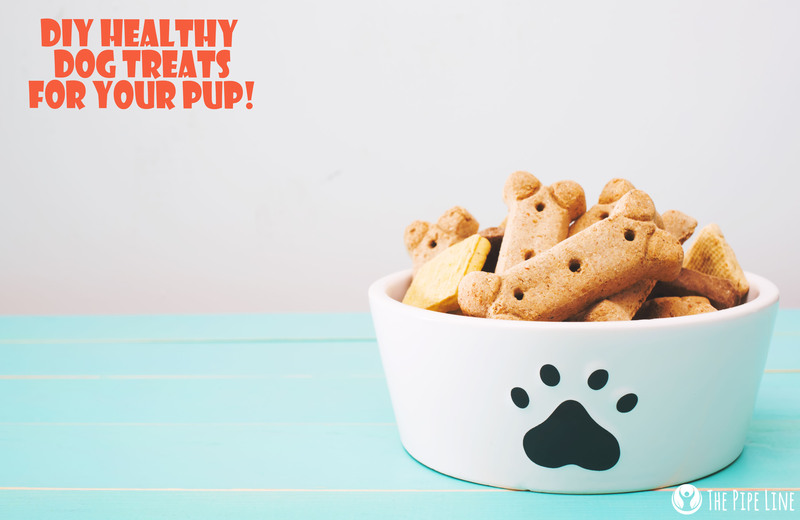 If you care for your furry friend as much as we do ours, then this DIY Dog Treats recipe is sure to be a hit for the both of you! Dogs are pretty much up for anything (well, most are at least). Your drooling companion is all about having fun with you and whether that’s going for a walk or playing fetch…the goofy smile s/he’ll give is priceless. It’s nearly impossible to not be in a good mood or to cheer up when around a dog! If you want to make play time even more fun, adding treats into the routine is a great way to teach tricks or reinforce positive behavior. Even if the tricks fail, it’s pretty much a guarantee that seeing your pet gnaw down on homemade desserts you made will feel like an accomplishment. 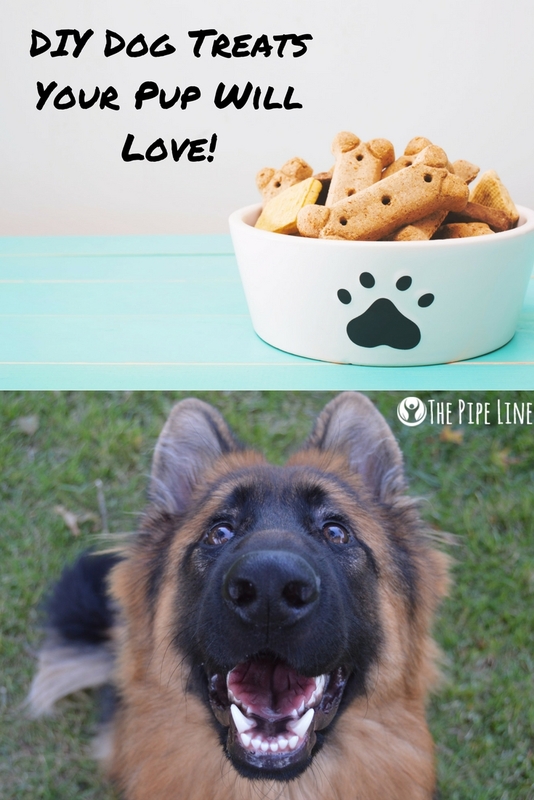 Reward your furry friend with these natural treats that they'll jump around for! Cookie Cutters -- bone shaped or paw shaped, your call! Mix together the bananas, peanut butter, flour and water together. Form a dough consistency and then lay on table. Let cool, and enjoy playing with your pup. In a food processor, place the peanuts and blend until a liquid forms. Occasionally, push down the peanut mix as it rises towards the lid. Now that you have your DIY Dog Treats handy, go on and play with your little bud! If you can’t think of anything to do, check out our previous post on DIY toys. There are two ideas that will surely get your playful pup in the mood to run around. Loved this post? Love us? Follow along via email for sales and daily blog posts!